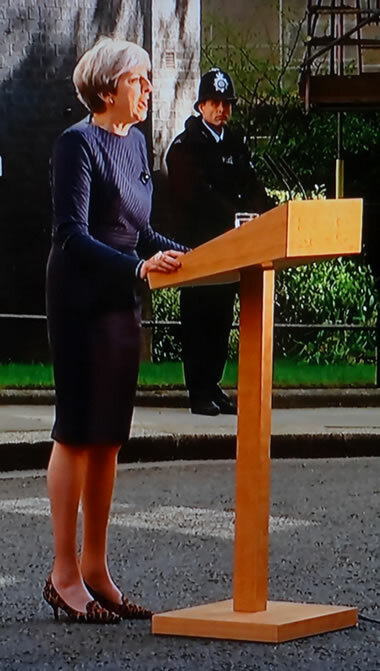 The blueprint for this election appears to be that of Margaret Thatchers Falklands War election that also had a Labour party that was crippled with an unelectable leader that went on to won Margaret Thatcher a huge majority. So at this very early stage, probability strongly favours a Conservative strong election victory on June 8th, where over the coming weeks I will attempt to determine how large a majority Theresa May will be returned to office with so as to best implement BrExit. Personally just when I thought I could get back to analysis of the financial markets , up pops a snap UK general election! The past year has been politics, politics, and now even MORE politics! I am sure like most people I am getting really sick of politics! Which is the only fly in the ointment that the people of Britain are sick to death of elections as 1/3rd of England goes to vote in the May local elections and then again a few weeks later in an general election. 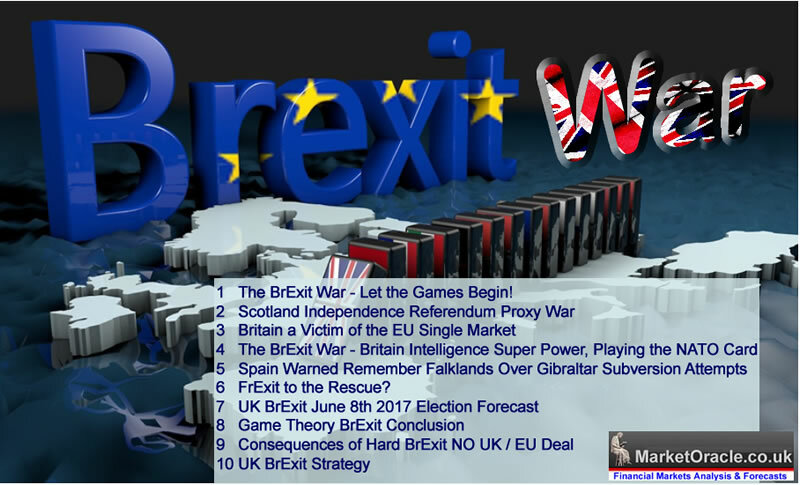 My following in-depth analysis and accompanying forthcoming series of videos seek to explain what Britain needs to do to win the BrExit War that the UK is engaged in with the European Union.